BIRTHDAY PARTY PACKAGE for 10 Children Ages 4 – 12. Additional children are $8 each. 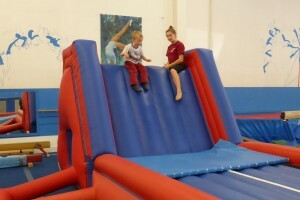 Parties are two hours including clean-up time: one hour of gymnastics with one or two attendants, depending on the number of party goers; 45 minutes in our decorated party room (large room holds up to a maximum of 16 children; small room holds up to 12 children), plus 15 minutes for Falcon staff to clean-up the area to its original condition. We supply your invitations, which include directions to our facility. We supply a free t-shirt for the birthday child. You bring the table settings, the cake (candles only please, no sparklers), beverages, and ENTHUSIASTIC children! A $50.00 non-refundable deposit is required to secure your booking. We accept Visa, Mastercard and Interac. Please confirm the number of children at least 24 hours prior to the party. Please refrain from having friends’ siblings under the age of 3 attend the party. 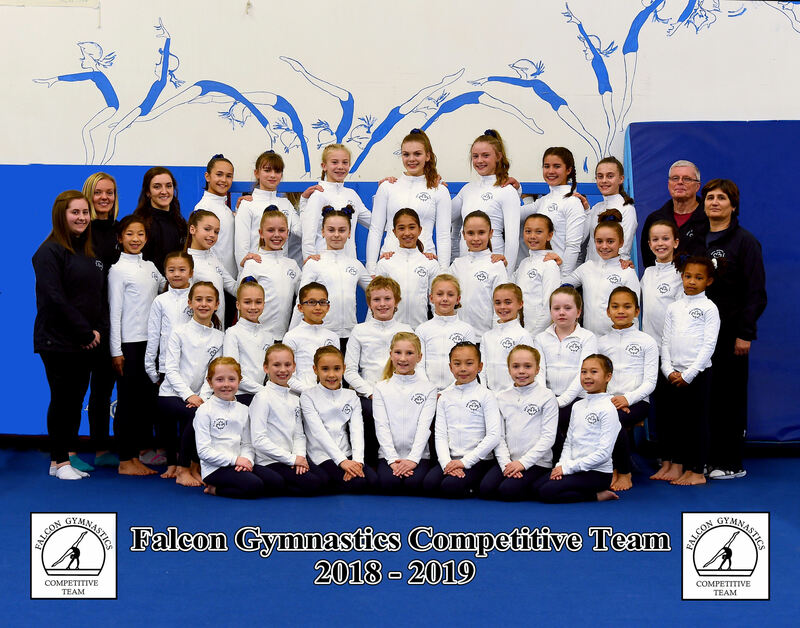 Each year in May the Falcon Gymnastics Parents Association (FGPA) hosts the Garden City Invitational (GCI) gymnastics meet. The GCI is the only meet like it on Vancouver Island and gives our athletes the opportunity to perform in Victoria while proudly hosting 15 officials and 350+ competitors and their families from other parts of Canada and the United States. A positive attitude is expected at all times. We reserve the right to cancel or combine classes if minimum enrollment is not met. Shoes must be removed in the change room. No gum, food or drinks in the gym at any time please. Parents may observe at any time from the observation area by the front desk or back door. Class size is usually eight students or fewer; however class size may go to ten students before splitting into two classes. If this is the case, we will provide a coaching assistant for the classes. Gymnasts, parents, siblings or friends are not allowed on the gym floor or equipment unless they are participating in a class. Proper gymnastics attire must be worn at all times. For girls in the Can-Gym Program, a gymnastics leotard is recommended. These can be ordered at the front desk. For boys in the Can-Gym Program, a T-Shirt and shorts are required. The preschool children can wear any comfortable clothing, that allows them to move freely. All gymnasts should have bare feet. Please remove all jewelry prior to class, with the exception of stud earrings.